We’ve talked before about selling wine bottles and corks to make money, but what about soft drink and beer cans and bottles? Yes, you can make money with those as well! Let me tell you a true story. When I worked in a Michigan casino, we had a soda machine in the break room. Blackjack dealers get a 15-minute break every hour, so it was a well-used machine. Every hour on my break, I gathered the empty cans and plastic bottles left on the tables and plucked them from the top of the trash can. I rinsed them in the break room sink and put them in plastic grocery bags, 25 in each bag. I took home three to five bags after each shift. Why? In Michigan, all carbonated beverage containers can be returned for a 10-cent deposit, so I was walking out of that break room with $7 to $13 every shift. By the time the casino management removed the soda machine a year later, I had made an extra $1,500 collecting cans and bottles on my breaks. And that’s in addition to the returnable drink containers I gathered from other sources. I did well enough, but not as well as another man I met — he paid his entire rent from the empties he collected. Here’s how to make money with all those cans and bottles. If you live in one of the states without a deposit law, the only drink containers worth bothering with are aluminum cans. Even those aren’t worth much, especially since the aluminum content has been reduced in soda and beer cans. Prices go up and down but are usually similar throughout the country at any given time. With approximately a half-ounce of aluminum per can, or 32 cans per pound, that makes each one worth about 1.7 cents. Although there are some people making a living collecting cans in the streets, it isn’t a good living. When my wife and I lived in Tucson, we saw people with garbage bags full of hundreds of cans they had collected from parks and garbage bins, but at less than 2 cents each, even a thousand cans is nothing to get excited about. For most of us to get motivated to collect cans and bottles, they have to be worth substantially more than a penny or two. That’s why the best opportunities are in states with “bottle bills,” laws requiring a deposit. Michigan has the highest standard deposit at 10 cents. Most other states with such laws have a 5-cent deposit, although some require higher deposits on larger cans or liquor bottles. If you live in an area with deposit laws, you probably already know the routine. In Michigan, stores have to redeem your empties for the deposit if they carry that brand, even if that particular can or bottle wasn’t purchased there. Most of the larger stores now have can and bottle sorting machines that you load yourself (though this can be sticky work). Once you run your empties through the machine, you get a ticket to cash in at any register. So is there really much money in this? Well, there was that man I met who paid his rent by collecting empties in the streets. And apparently, 10 cents each is enticing enough that people still smuggle empty cans into Michigan like “Seinfeld” characters Kramer and Newman. But for most of us, returnable beverage containers are just a way to make a little extra cash. Want to do it without resorting to digging through trash cans in parks? Try these places to look for extra cans. Any outdoor concert venue might be worth checking out. At outdoor music venues, people toss their empties left and right while partying in the parking lot. In northern Michigan, I spoke to a couple who said they made more than $100 in a couple of hours by driving their pickup truck into the parking lot of a concert and loading up the back with all of the empty beer and soda cans there. Of course, it probably took another hour to run all those empties through the sorting machines at the grocery store. In Traverse City, Michigan, I spoke with can collectors who come from out of town just to make money during the National Cherry Festival each summer. With half a million visitors in one week, it isn’t surprising that there are a lot of empties to pluck off the grass and picnic tables. It might be worth looking into nearby festivals if you live in a state with a deposit on beverage cans and bottles. Your friends and family are another good source of returnable empties. I once returned 700 cans for a friend who didn’t want to deal with the pile in his garage; we agreed to split the proceeds, and I kept $35 of the $70. If family members or friends don’t like to return their empties, you might drive a route to a few homes every two weeks to pick them up. It’s a very earth-friendly thing to do, and a few dollars in cans at each stop might add up to enough money for your time. If you happen to be collecting empties in a garage or barn that has been around for a while, keep an eye out for certain old cans. Some antique collectible beer cans are worth $35 to $1,000. 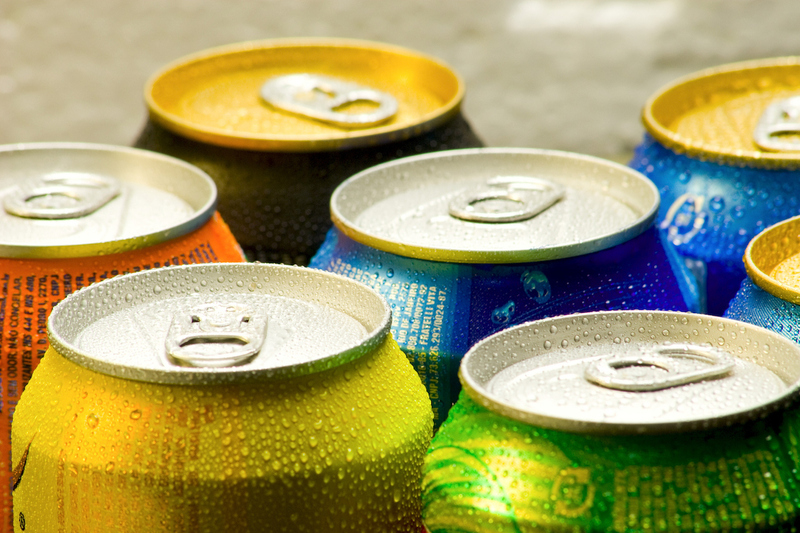 Regular aluminum can prices range from 1.7 to 10 cents each.